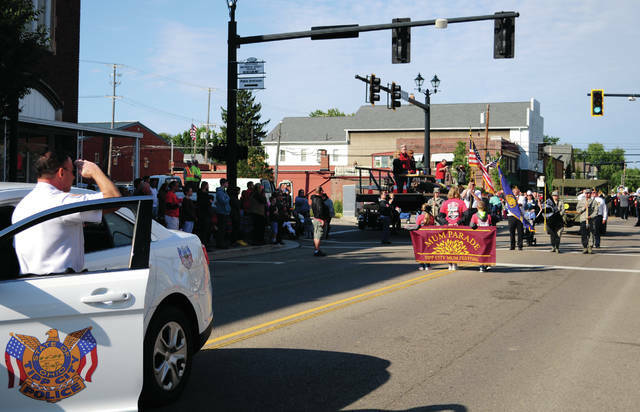 The 60th annual Mum Festival kicked off last Saturday morning with a parade. 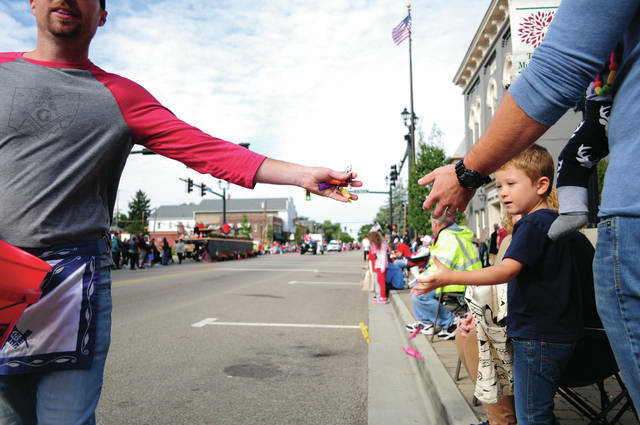 Local organizations handed out candy to youngsters along the parade route. 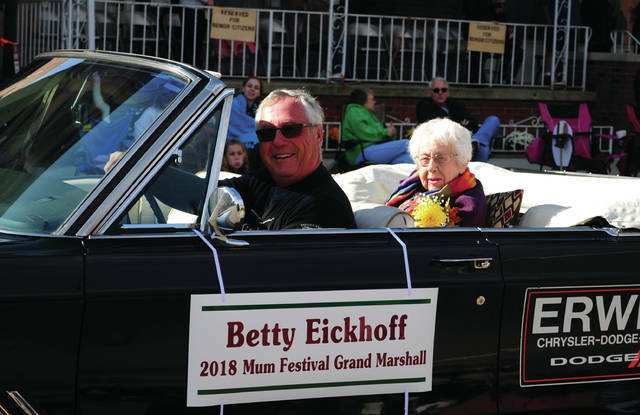 This year’s parade grand marshal, local historian Betty Eickhoff, was chosen in keeping with this year’s theme, “Sixty Years in the Books,” which celebrated local history.  The festival weekend started Friday night with the annual cruise-in. 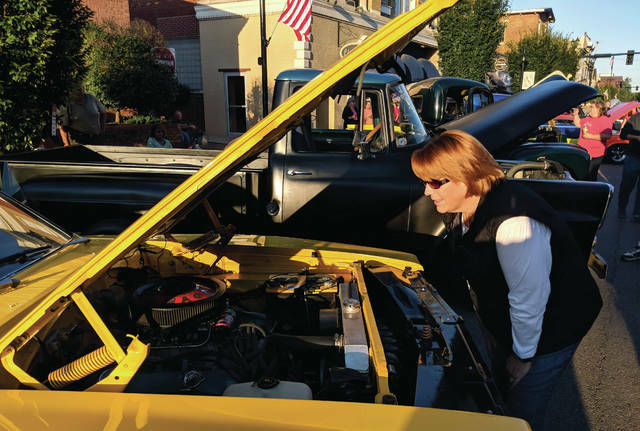 Jackie Dilts, who stopped by the cruise-in after work, checks out a classic Camaro. Police Chief Eric Burris salutes the flag as the Tippecanoe High School marching band plays the national anthem at the start of Saturday’s parade. 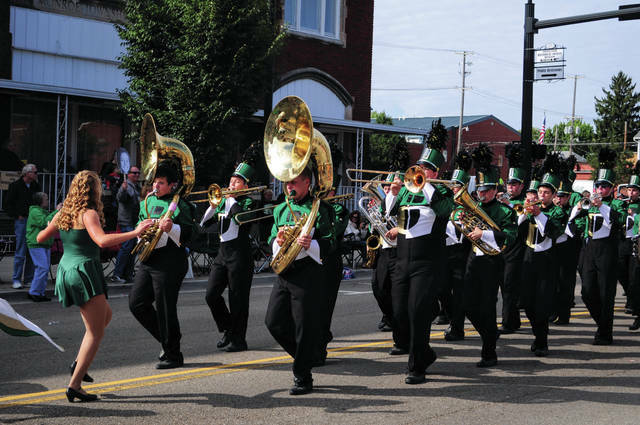 The parade featured several local high school marching bands, including Bethel High School’s. 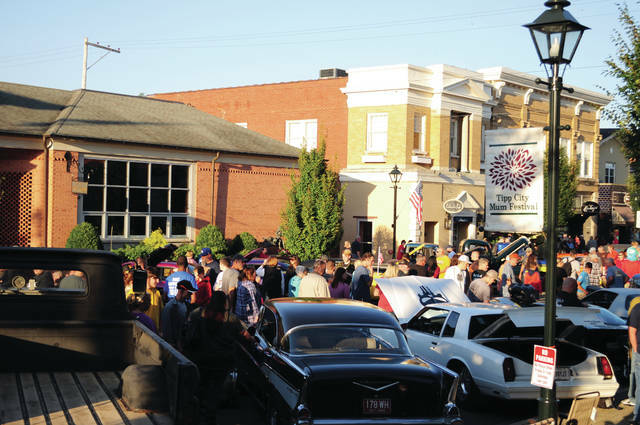 The Friday night car show took over several blocks of Main Street in Tipp City. Good weather meant bigger crowds this year. 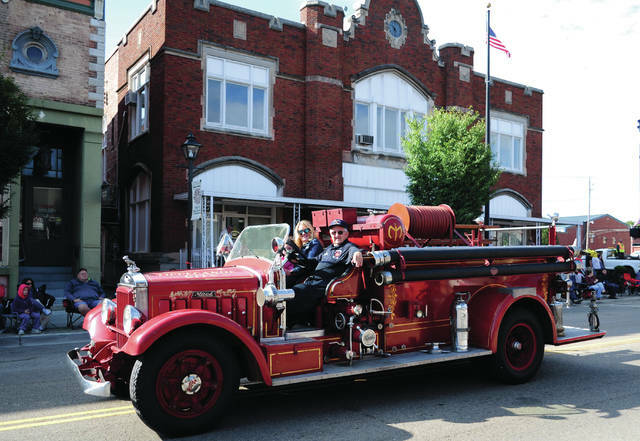 The Tipp City Fire Department showed off a piece of the department’s history, a historical fire truck. 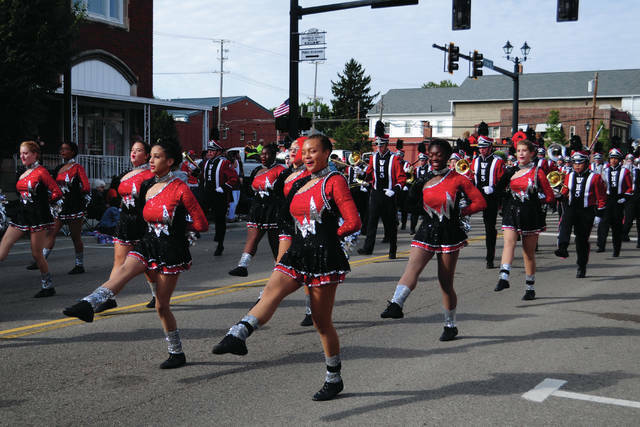 Led by the Warriorettes dance team, the Wayne High School marching band from Huber Heights also participated in Saturday’s parade. 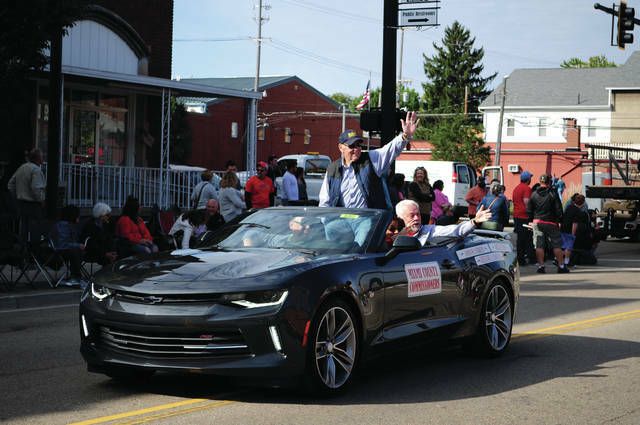 The Miami County Commissioners waved to crowds during the parade Saturday morning. 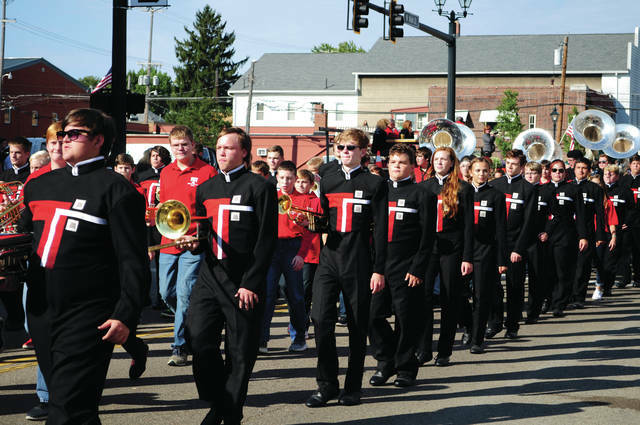 The Tippecanoe High School marching band were at the head of the parade for the 60th annual festival. 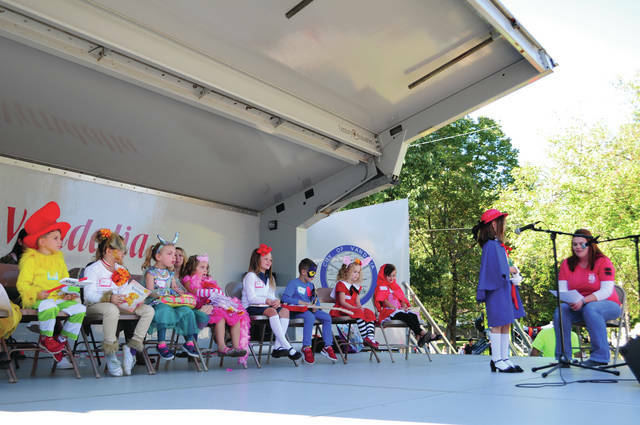 The Little Miss and Mister Mum contestants took questions onstage during the festival Saturday. Many dressed as characters from their favorite stories. 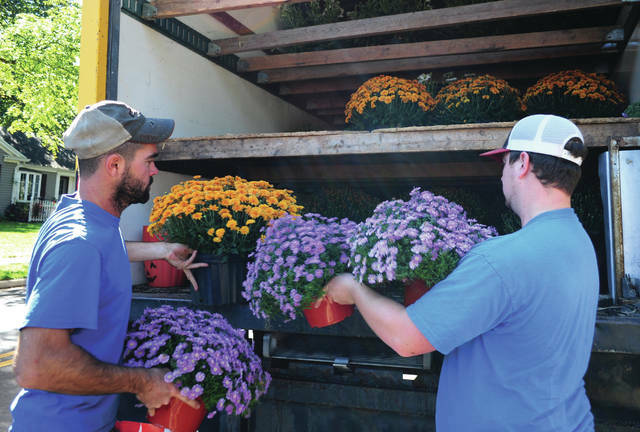 Andy’s Garden employees made sure there were plenty of mums for sale during the 60th annual Mum Festival.